We have been talking a lot about hats in this blog lately so I wanted to present to you the artist behind my new acquisition for my polo fundraiser. 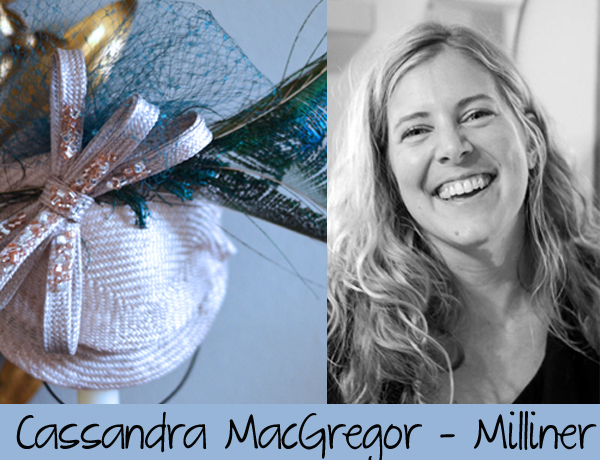 Cassandra MacGregor is the milliner behind The House of MacGregor. 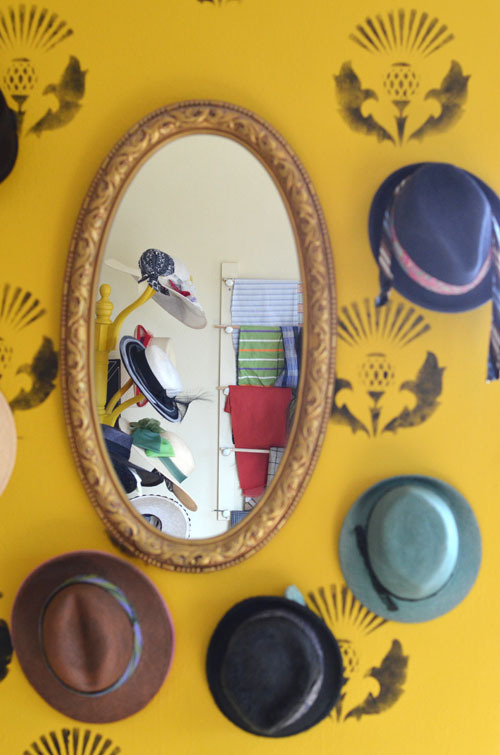 She is a wonderful hat maker and artist. This is the second time I have had her create a fascinator for me and it is always such a fun and exciting experience. Cassie is very talented and has impeccable taste. Her craftsmanship is beautiful and her studio is so chic and fun. I was so glad I had my camera with me to capture her works of art. 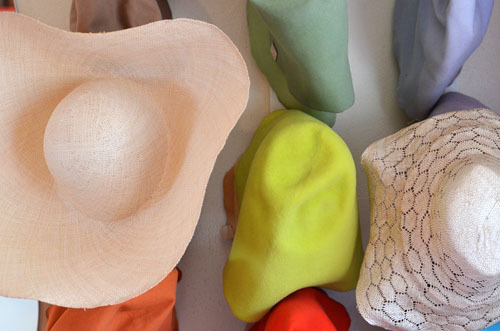 While living in New York some years ago she took hat making classes and began working with a variety of hat makers. 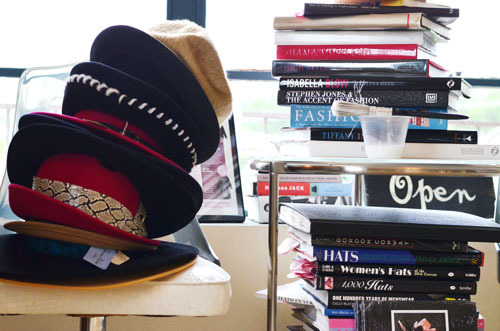 She has even worked with theatrical milliners on Broadway, fashion show hat suppliers, and couturiers, making hats on a custom basis. Her work has been featured in W, Italian Vogue, and other regional magazines. The fascinator above is what I wore this weekend (take a look a the beading!). NPR, it keeps me company while I sew! I see cocktail hats continuing to get more popular and eccentric in their style. I also think the Great Gatsby movie is going to bring a renewed interest in cloches and 20's headpieces. The south of France. I went their for a wedding a few years ago and came back a changed person! Meeting with my customers and coming up with new hat concepts with their input. Here are some photos of her studio and creations. 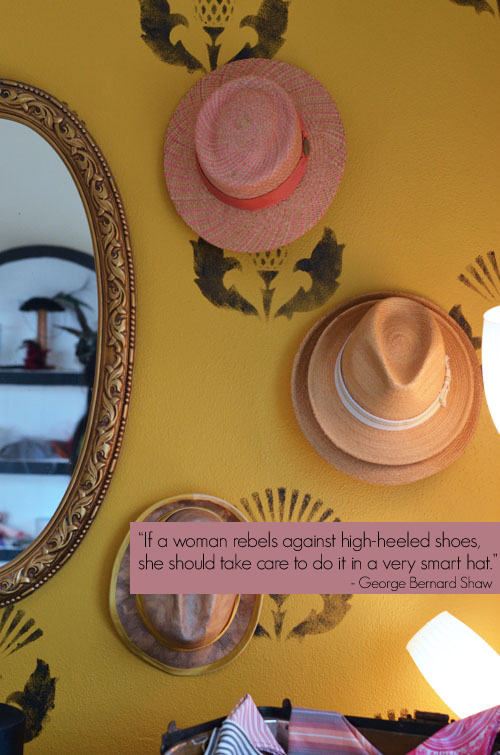 She stenciled the wall herself! All the above hat quotes are from Cassandra's website. Aren't they fun? Check out her website here. There is something powerful in wearing hat. For me, some sort of transformation occurs when I wear one, as if I were being elevated to a more sophisticated life...at least momentarily. Cute pics! 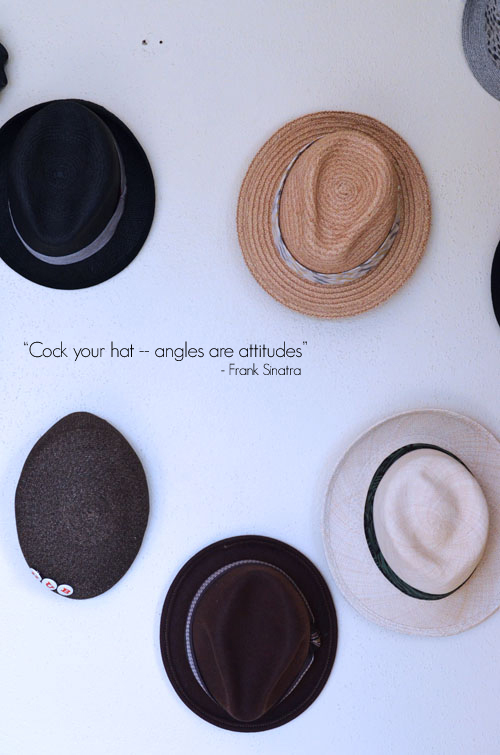 And I love the quotes by Frank Sinatra and GBS! Interesante entrevista Albertina, no conocía su trabajo and so beautiful!!!!! I agree! 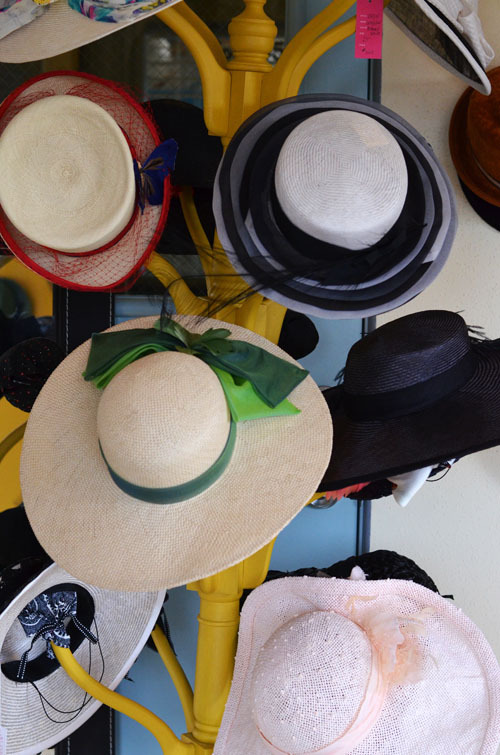 I love hats, and have bought a few cloches this year.